We manufacture environment friendly Cold Room PUF Panels that are made by advanced technology used for preserving food grade items like sweets, fast foods, sea foods, vegetables, dry fruits, mineral water etc consuming less energy. For Kota Stones or concrete floor, PUF slab with both side Tar felt coated. Aluminum Chequre Plate with Marine Ply. When you require a full size walk-in with greater flexibility, Enggtemp Pre-Engineered is the solution. Made from the same quality panels and components that Enggtemp is renowned for, you get all of the quality, flexibility, durability and energy efficiency you have come to expect. The Enggtemp Pre-Engineered system consists of components that are ready-made and ready to assemble. By manufacturing and warehousing these components ahead of time, we greatly reduce ship and installation time and in most cases reduce cost too, depending on your exact requirements. Low noise, highly efficient, and easy maintenance Refrigeration Unit offered by us are optimum for keeping food safe indefinitely and prevent cross contamination of food items. 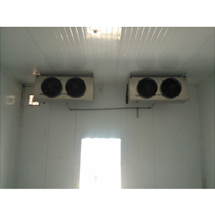 Condensing unit is available in GI powder coated with supportive MS angle. 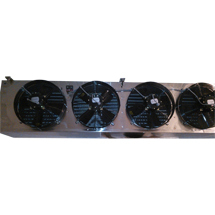 Evaporator unit made from fully stainless steel. Shield & Semi Shield energy efficient Compressor. 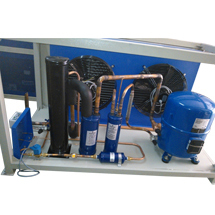 As per high ambient designed air-cooled condenser or water cooled condenser. Inner grooved seam less Copper tubes & slit Aluminum fins for superior heat transfer.